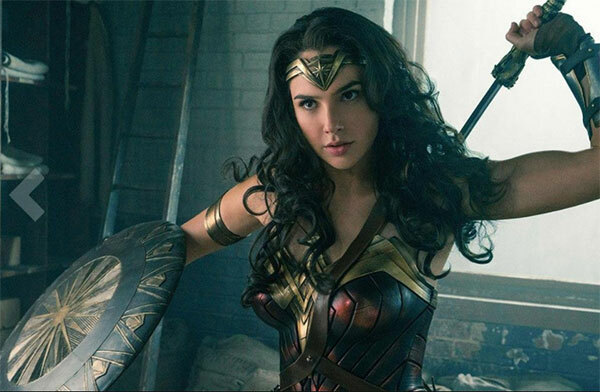 In the latest episode of “will celebrities never learn?” we have yet another example of when marketing goes wrong courtesy of Wonder Woman herself, Gal Gadot. Her gaff comes after she tweeted yesterday asking her followers to “Say hello to my new mate” in an attempt to advertise the new Huawei Mate 10 Pro and while that is all well and good, she unfortunately tweeted the message from, you guessed it, an iPhone. As can be seen from the tweet itself, it came “via Twitter for iPhone” which is obviously a little disappointing considering the advert is for a competing smartphone. Not so much disappointing for us, but if we were Huawei and had presumably handed over a sizable sum of money for promotion only for the tweet itself to be posted from an iPhone. There’s of course a chance that the actual tweet did not come from Gadot herself, and there is also the fact that many A-list celebrities do not manage their own Twitter accounts to factor in here. 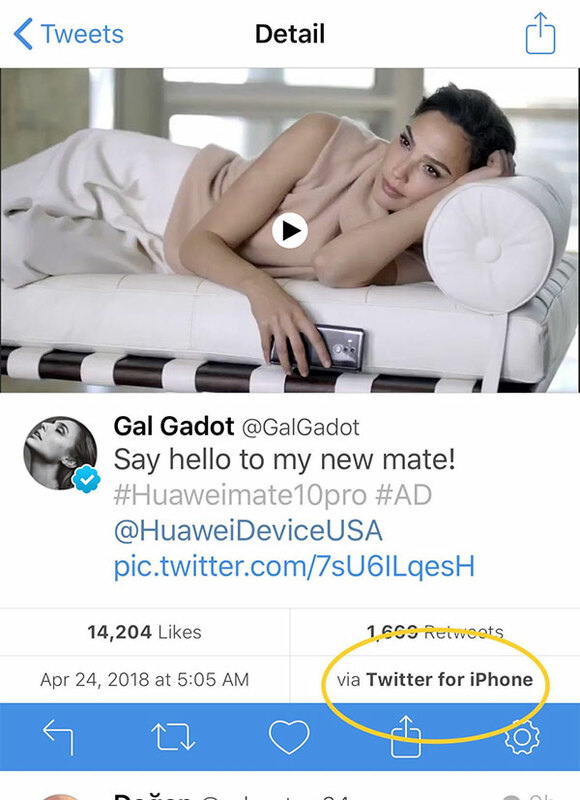 Maybe we’re being cynical, but we suspect that Gadot doesn’t actually use a Huawei Mate 10 Pro at all given all of her previous tweets have been posted from Twitter for iPhone as well. This of course doesn’t mean anything in the grand scheme of things and most people are unlikely to even notice what has happened here. That doesn’t make it right though, particularly considering the number of time this kind of thing crops up and always with celebrities – and no doubt ad agencies or management companies – who should know better. Remember folks, it’s all about the details. Who will be the next to fall foul of a similar error in the future? UPDATE: As expected, the post which was published using Twitter for iPhone was deleted after media caught it and then reposted using “Twitter for Android”. or maybe tweating from iphone actually gives this way more exposure because people will be pointing it out in articles just like this one ?